The map-makers at the British Antarctic Survey (BAS) were prompted to take another look at the mountains because of concerns for the safety of pilots flying across the White Continent. "In Antarctica there are no roads, so to get around you have to fly planes. And if you're flying planes you really need to know where the mountains are and how high they are," explained Dr Peter Fretwell. As well as giving Mt Hope its new status, the reassessment has provided a more complete description of the relief across the quadrant of Antarctica claimed by Britain. This encompasses the long peninsula that stretches north towards South America. Some of its mountains have now been "moved" up to 5km to position them more accurately on future maps. Mount Vinson, which sits just outside the British Antarctic Territory, remains the undisputed tallest peak on the continent at 4,892m (16,049ft). Dr Fretwell's team is releasing its findings on UN International Mountain Day. Media captionPeter Fretwell: "If mountains are missing or in the wrong place on maps - that's dangerous"
Elevation data-sets are a topic of discussion here at the Fall Meeting of the American Geophysical Union (AGU) - the world's largest annual gathering of Earth and planetary scientists. The BAS group used a combination of elevation models built from satellite data to make the new mountain assessment. When this medium-resolution information threw up the possibility that Mt Hope had been underestimated, the researchers then ordered in some very high-resolution photos for confirmation. These pictures, taken from orbit by the American WorldView-2 spacecraft, allowed for a stereo view of the summits of both Hope and Jackson. "We call this photogrammetry," said Dr Fretwell. "Because we know the position of the satellite so well, if we use it to take two images of a mountain that are ever so slightly offset from each other, we can then employ simple trigonometry to work out the height of that mountain." The process raised Hope from 2,860m to 3,239m. The measurement technique carries an uncertainty of just 5m, so there should be no argument over the mountain's new-found superiority. The long chain of peaks that runs down the spine of the Antarctic Peninsula is one of the most spectacular landscapes on Earth. 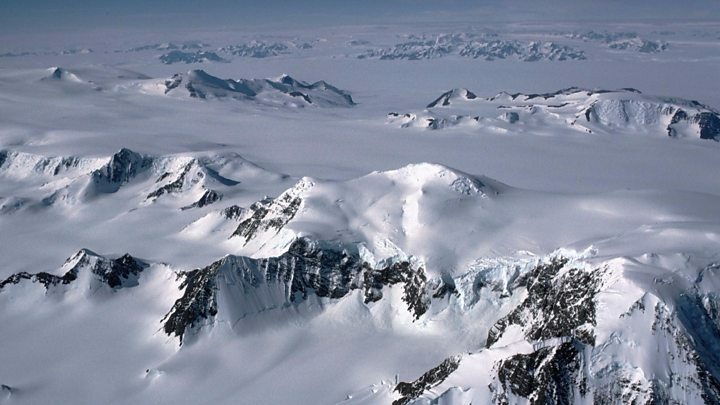 The chain was initially built some 50-100 million years ago when an oceanic tectonic plate slid under the Antarctic continent, said BAS geophysicist Dr Tom Jordan. "This produced volcanism and a shortening and a thickening of the crust. Then, more recently, the ice sheet and its glaciers have cut deep trenches into the Antarctic Peninsula, removing rock and depositing it offshore. "As this mass has been removed so the whole of the peninsula has rebounded, uplifting the peaks fairly significantly," he explained. At the AGU meeting in New Orleans, US researchers are showcasing very similar work - but on a much more extensive scale. Dr Paul Morin, from the Polar Geospatial Center at the University of Minnesota, has led an effort to re-map the elevation of both the Arctic and the Antarctic. These projects have access to several years of WorldView images and time on a supercomputer to process all the data. The Arctic map has an elevation point, or "posting," every 2m across the region. 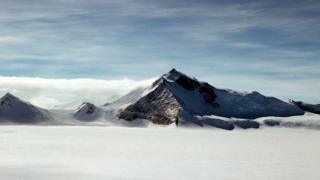 The Antarctic map, due to be released early next year, will have the postings every 8m. "With this availability of data, Antarctica has gone from the poorest mapped place on the planet to one the best," Dr Morin told BBC News. "It makes better science cheaper and faster to achieve. And it also makes science much safer because we know where everything is."